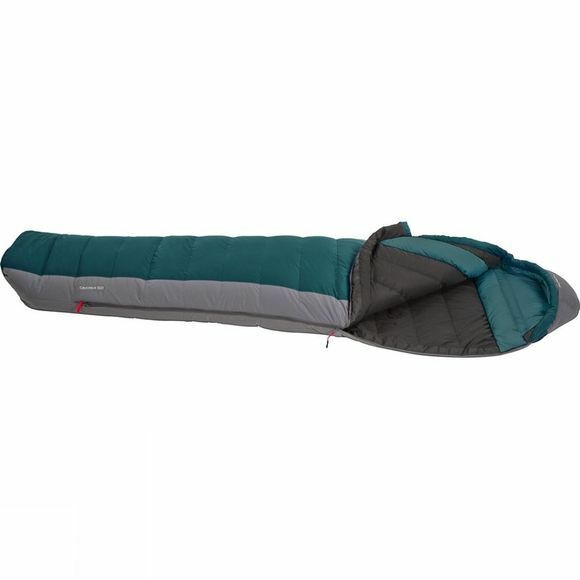 The Robens Women's Caucasus 600 Sleeping Bag is a streamlined, lightweight and effective down sleeping bag. It is perfect for overnight, warm weather trail adventures where minimum pack-size and an excellent warmth to weight ratio is required. It boasts a heat retaining and weight saving mummy shape with a draft baffle around the shoulders and a drawcord adjustable hood. The two way zip at the side of the sleeping bag allows you to ventilate the foot area while still keeping the top of the bag closed making this a versatile bag that will accomodate a huge range of comfortable sleeping zones.